Established in 1922, the Columbia River Steamship Operators' Association's mission is to facilitate trade, provide business leadership, exercise principles of environmental stewardship, serve as an industry focal point, and promote operating policies and practices that are safe, reliable, efficient, and cost-effective. The Columbia River trade corridor is the lifeblood of our regional economy, supporting 50 million tons of foreign trade at a value of over $24 billion annually. The Columbia River is the nation’s number one wheat export gateway and number two for corn and soybean exports. It is the third largest grain export gateway in the world, as well as the West Coast’s leader in dry bulks, mineral bulk, wood exports and auto imports and exports. 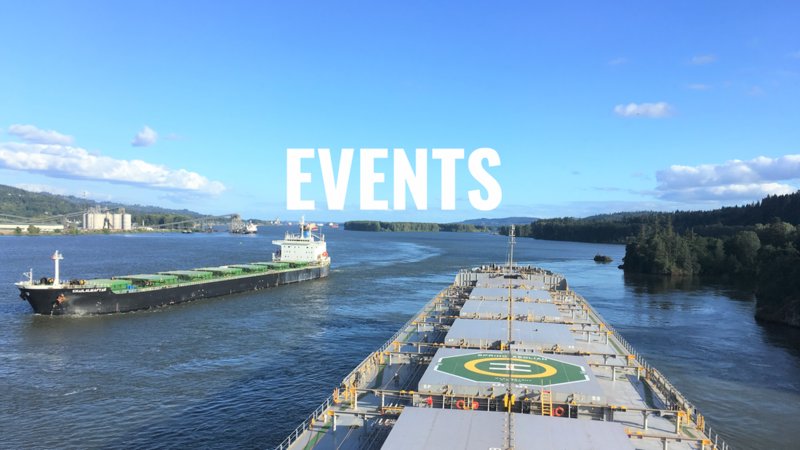 The Columbia River Steamship Operators' Association hosts bi-monthly educational luncheons for our members and industry partners, focusing on a wide variety of topics, as well as updates from our government partners on happenings in and around our ports. We also host numerous industry and social events, including a Spring Fling, Summer Picnic, Annual Christmas Luncheon and occasional morning meetings with Federal, State and local government representatives focused on relevant and timely issues. Further, we work to regularly hold “educational field trips” and other outings for our members to engage and further their understanding of the maritime community. Throughout the past 95 years, our focus consistently remained on working to make the Columbia River region increasingly popular for commercial ships and shippers to come and do business. We attribute our successes to the strong networks we have built with our private sector partners and stakeholders, our public sector agencies and regulators, and our Federal and State legislators. The CRSOA welcomes members who supports our mission, goals and objectives. Companies benefit by taking advantage of our network, join in our luncheons and other seasonal social events, make use of our members’ talent and resources, and adding their voice to that of the CRSOA general membership.